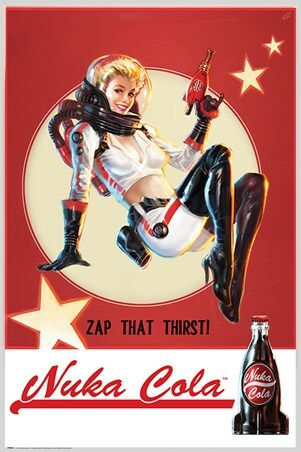 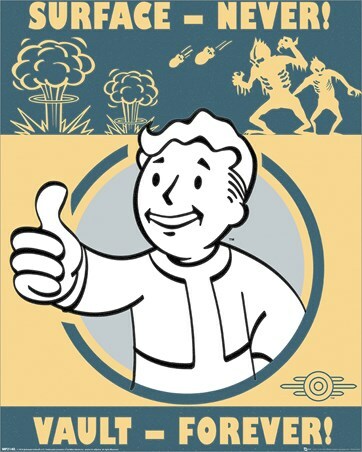 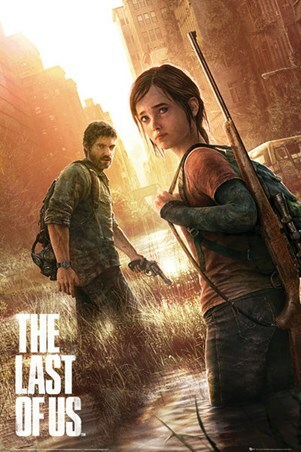 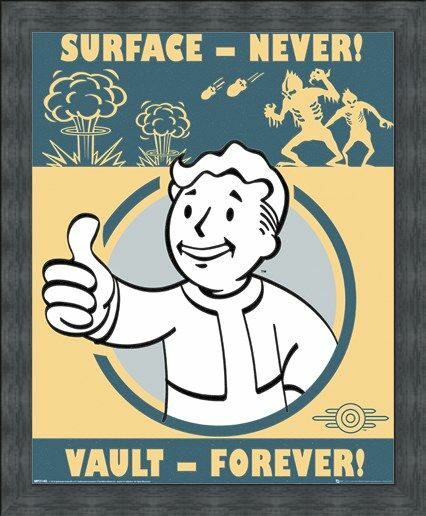 Avoid the pollution of the post apocalyptic world and stay in the safety of your shelter, with the Vault-Tec Corporation's blond haired mascot, Vault Boy. 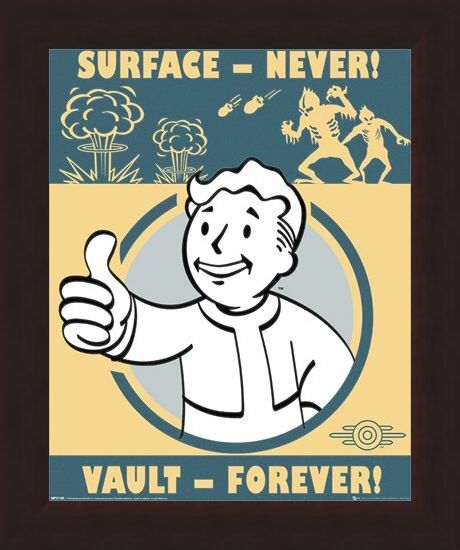 Reminding us to 'Surface - Never' and 'Vault - Forever!' 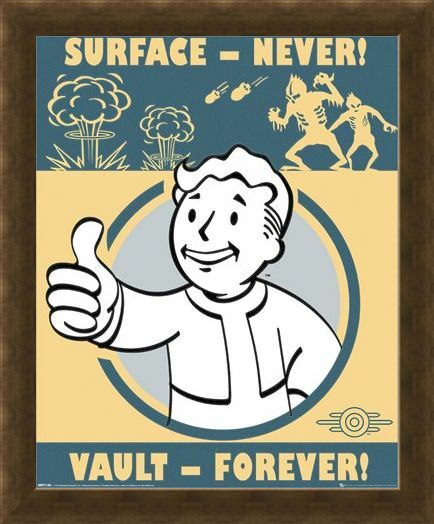 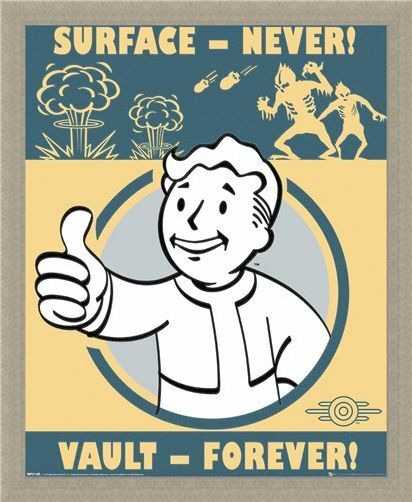 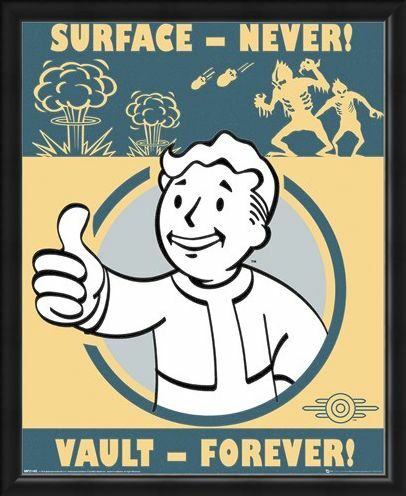 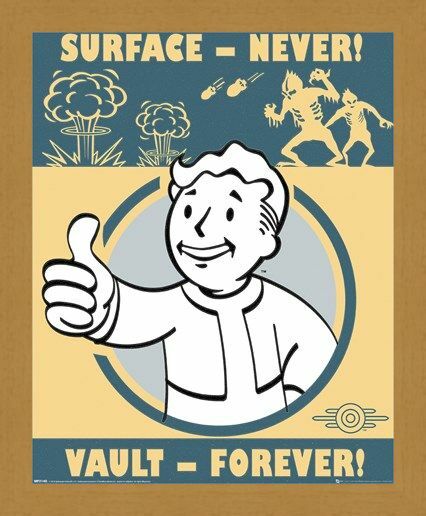 this awesome mini poster from the number one selling video game series, Fallout, shows us just what may happen if you choose to leave! So stay snug in your gaming lair and avoid the monstrous creatures and falling bombs, with this wicked warning decorating your walls! 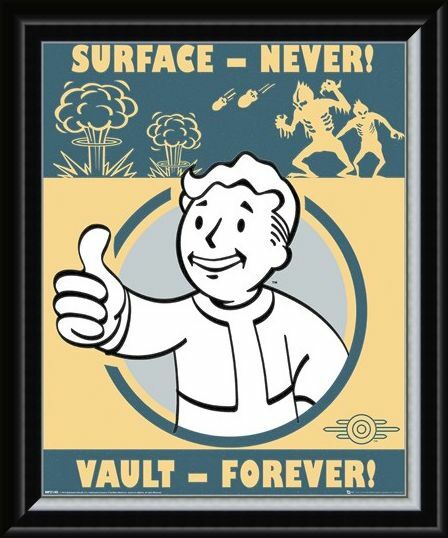 High quality, framed Vault Forever, Fallout mini poster with a bespoke frame by our custom framing service.